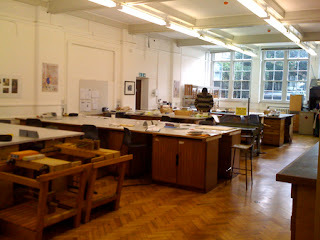 Sorry I have not been around recently, Kelly from May Day Studio, kindly nudged me for an update on starting at college, and as I have now completed my first week, it seemed like a good moment to let you know what has been happening! 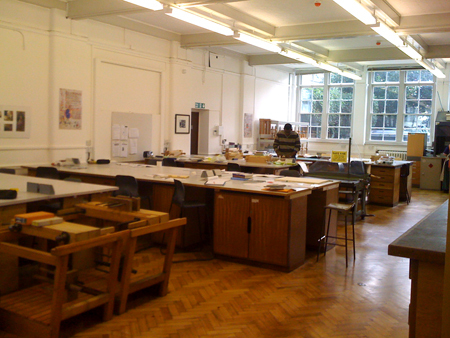 This is my college, Camberwell College of Arts, where I am studying Book Conservation. The building itself used to be a boy’s grammar school, but it’s now all part of the London Arts College. The first week included a lot of introductions to what lies ahead. We also launched straight into the basics of the chemistry we will need, including the structure of an atom! A little daunting to begin with, but also exciting. 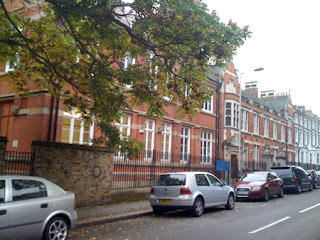 Thursday included a trip to the Horniman Museum in Forest Hill, for an introduction to their ‘Handling Collection’, which was very interesting. The museum itself is beautiful and on fantastic grounds – apparently they have some great Christmas events, including carols by candlelight, which has always been a favorite of mine! 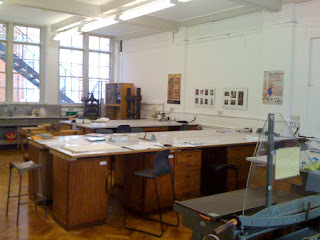 We spent all of Friday in the studio, which you can see above, its a fantastic space, and kitted out especially for the book conservators. We all have our own desk space and have been over the do’s and don’ts of the studio – such as no pens, nail varnish or perfume! The former may damage the book you’re working on, and the latter will prevent you from smelling any rotting pages!! We then got straight down to making some small pamphlet bindings, which you can see below. The greener one is made with two sections, using a very nifty technique of folding the cover in the middle to allow you to sew the two sections to the cover without any glue! Anyway – tomorrow sees the beginning of a series of lectures on European Hand Made Papers, which should be really interesting, so I will report back on them next week! Yesterday I finished my second practice disappearing spine practice, and managed to do the same thing wrong as I did on the last one, AND additional things wrong! 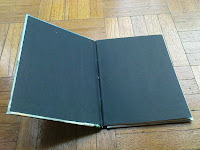 I didn’t trim the end papers, so they were much too long when I stuck them down, meaning I had to trim them afterwards. Luckily, the paper on the boards was coated which meant the paper came off without ripping it. However I still managed to get the spine wider at the bottom than it is at the top so, yet again, it is a bit skew-whiff, its not as bad as the last one, and I managed to neaten up the end papers. But it’s not great – obviously a technique that needs a bit more practice at my end. You’ll see it’s quite mini! So, eight weeks in and I’ve been a bit more productive. 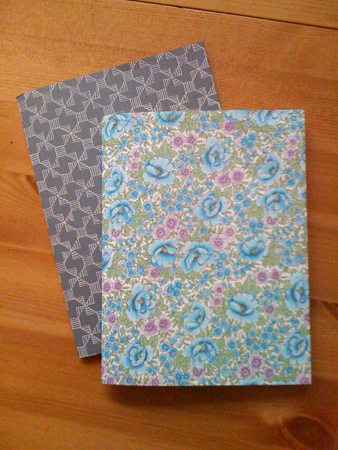 You’ll see that I now have the corners on my 1/2 bound flat back book – very neat and tidy if I do say so myself, and have finished my disappearing spine pamphlet (called as such because you can’t see the spine). 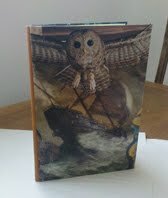 The latter is covered in more National Geographic collages and the 1/2 bound will be covered in some drawings I’ve done. Unfortunately, when I was ‘casing in’ (sticking all together) my pamphlet (with owl), our teacher was also talking about the corners of the 1/2 bound (pink). She said if we were doing what I was doing to ignore her and she’d tell us again later, but considering I was the only one doing what I was doing, I got a bit distracted by listening to her as well, and now my beautiful owl pamphlet is wonky and I’m going to have to start from scratch. Hmph. Apparently this is a good thing (??? ), as the marking people like to see mistakes that are practiced and then rectified, still, I like the owl and I’m not sure I’ll find such a nice cover, so I am a little disappointed. Nevermind – practice makes perfect! My last pamphlet is bowing a little, but apparently this is absolutely fine and is very acceptable in bookbinding, so that one is alright (that was the one with the trees on the front). Not sure if you’ll be interested, but I’m pretty excited – I have finished my first sewn book! This is a pamphlet binding, which means (I think) that it only has one section. This particular one has end papers that are wrapped around the text block and are then fixed to the boards, it’s also a 1/4 bound book meaning that the spine is covered in cloth. 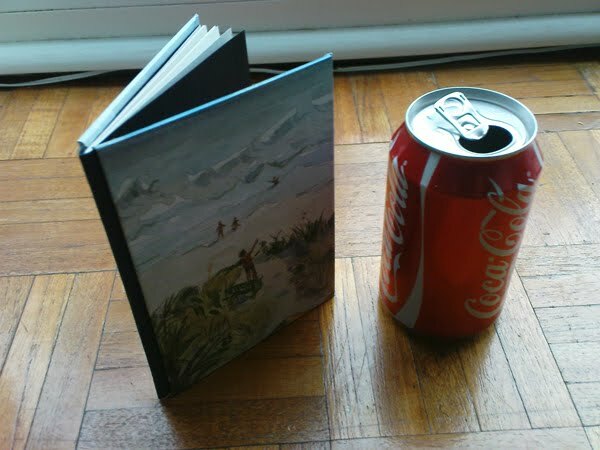 I’m due to finish my other pamphlet binding in two weeks (after half term) as well as my first really proper book, which has multiple sections that are sewn together – VERY exciting, and so far looking not too bad, though the spine is a little big for comfort on the proper one. Its quite tricky getting the covers on the boards, as you spend lots of time getting everything right and carefully doing things, then the moment you start pasting, its a race against time! – tricky! The cover is a collage I have made from an article from the National Geographic on Redwood trees.